Part of what makes the School of Business such a thriving resource for students, alumni and business professionals is our strong network of alumni associations. We encourage you to join some so that you can access opportunities for professional growth and keep close ties with your friends and industry connections in the USD community. USD Alumni Association Across the country and around the world, engage with more than 63,000 alumni from the University of San Diego. Real Estate Alumni Association Network and socialize with real estate alumni at a wide variety of REAA events throughout the year. 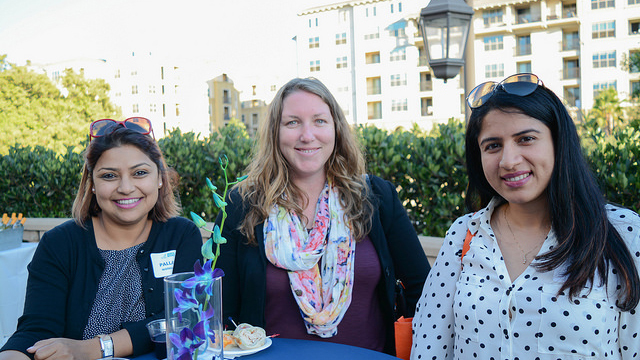 Women and Business Network Connect with USD alumni to discuss the challenges and opportunities facing women and business.